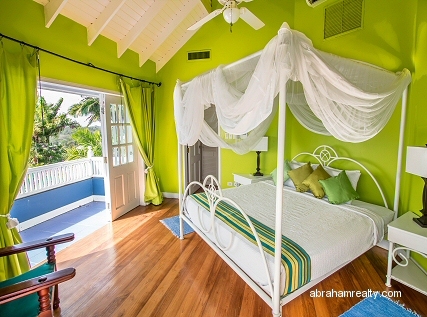 Villa Petrus is a haven of luxury in one of the most beautiful islands in the Caribbean. 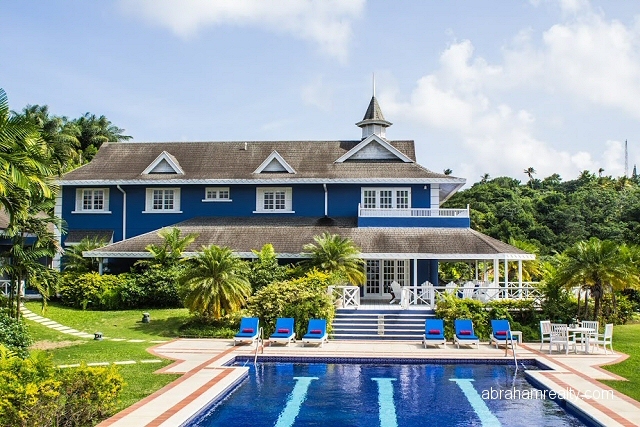 The plantation-style villa is nestled in the lush mountains of Prospect, on Tobago's sheltered leeward coast, caressed by cool breezes and serenaded by tropical birds. 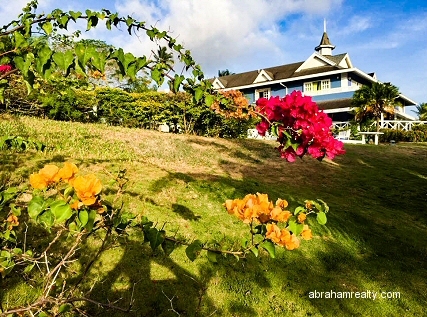 It is two acres of exquisitely landscaped gardens, with fruit and shade trees and a profusion of brilliant bougainvillea. 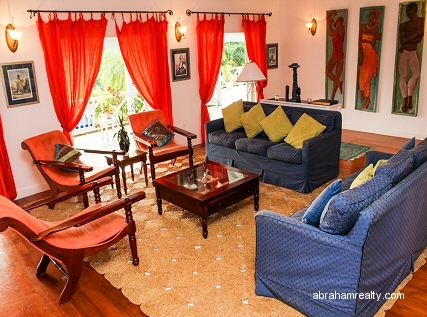 Absolutely secluded, it has magnificent views of the Caribbean Sea and the Arnos Vale Hills. In the evenings, you can first watch the sunset and then later, the fireflies. If you do want to leave this secluded paradise, however, Villa Petrus is about ten minutes' drive from the ocean, the famous Mt. Irvine Golf Course and fine restaurants, and a mere 15 minutes from the capital, Scarborough. Villa Petrus combines the best of both worlds: immediate access to entertainment, with total relaxation. 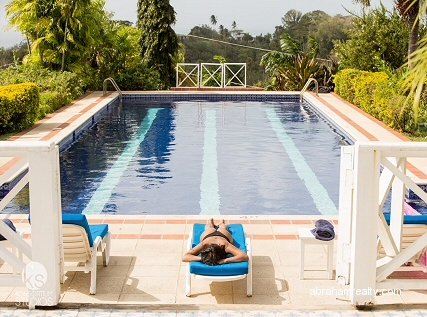 The villa evokes a bygone era of grandeur and opulence, and yet provides all the amenities of modern living. 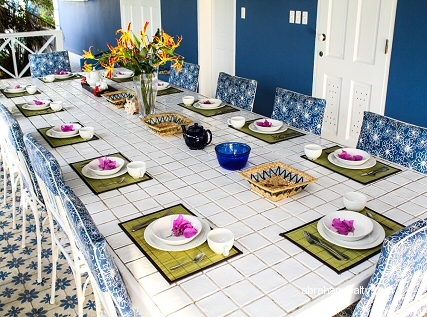 It has six bedrooms and five bathrooms comfortably sleeping 12 people. 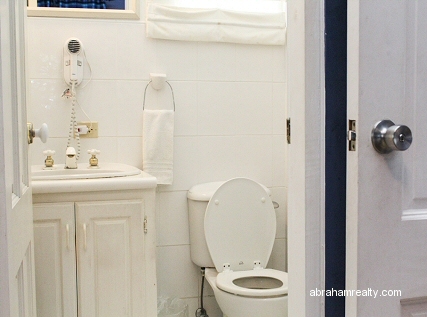 Each well-appointed bedroom is air-conditioned, and all have wonderful, sweeping views of the ocean and hills. 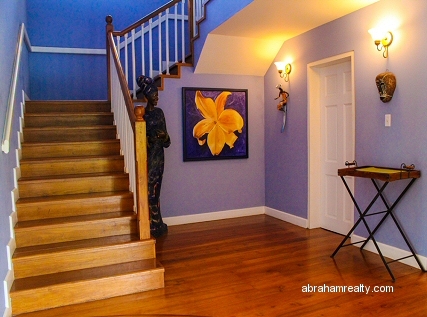 Every room is a different colour, from hot to cool, to sensuous. 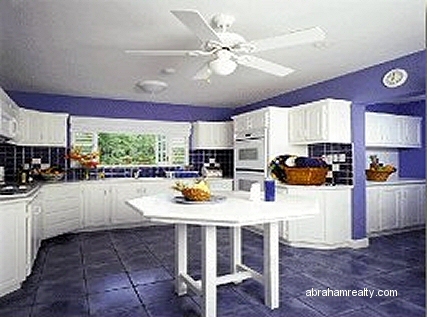 The villa is built to make maximum use of the breezes that play about the mountain, with the added benefit of keeping the temperature cooler. Villa Petrus embraces its occupants with luxury: the beauty of the environment, the generous proportions of rooms and verandahs designed for complete relaxation, its large living and dining areas and its two study areas, for times when privacy and solitude are needed. An orchard and vegetable garden on the grounds ensure the freshest produce for your meals. 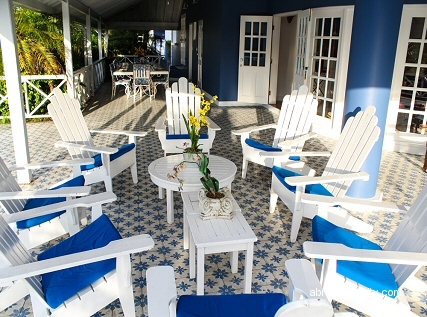 The coup de grace is the tiled swimming pool - 22metres long - that may well keep you away from the ocean on lazy days. 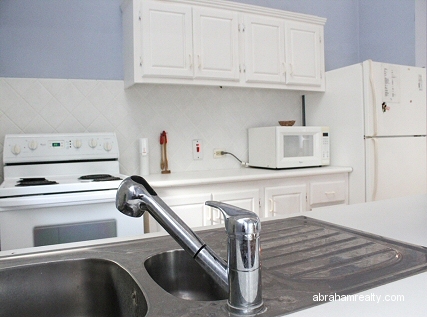 Office facilities with complete communication services, and computer access, printer and fax machine.